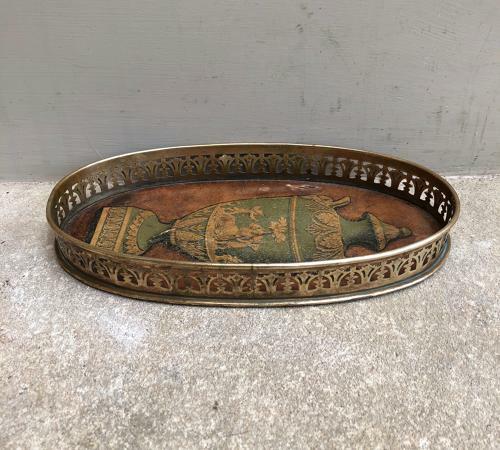 Georgian Small Tray or Dish...in Complete Original Condition. Pretty brass edge with fretwork..and inside is the Original Paper Lining. Very decorative Central Urn. Some slight damage to the internal paper but VERY decorative and still quite useable & great to display.